It’s the time of the month again when CIMSECians get hungry and/or thirsty. 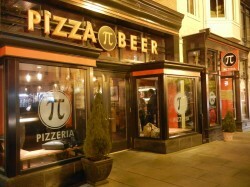 For August and September’s DC meet-up we’ll be heading to the District of Pi Pizzeria in the Gallery Place/Chinatown area. We hope you’ll join us to discuss the maritime issues of the day and cap our Sea-based Nation’s Week, or just meet some interesting people.